Are homes expensive? And how can we make them more affordable? Home prices in Toronto and Vancouver have escalated to unprecedented levels in recent years, sparking concerns about affordability. The housing market in both cities seems overinflated and too expensive, but there is some justification to it. After all, increasing property values is a trend that the world’s best cities often experience. Despite the benefits, high prices are also known to create a less equitable environment for the middle class and less advantaged groups, pricing them out of certain neighbourhoods and cities, and potentially threatening the livelihood of those cities. Cities like New York, London, Tokyo, San Francisco, Hong Kong, Singapore, Toronto and Vancouver maintain a lot of influence and are major players globally. These are cities that attract a lot of talent and investment, and are consistently ranked by various agencies as the most liveable, resilient, attractive and opportune cities in the world. And the cost of living reflects that: Quality does not come cheap. Despite the cost, many are still willing to pay a premium to live in a place with greater opportunities. Jennifer Keesmat, Toronto’s Chief Planner recently had a very interesting discussion on the Agenda with Steve Paikin about housing affordability and choice. When Steven asked her whether homes were unaffordable in Toronto and the surrounding regions, Jennifer replied: “Typically when people say ‘housing isn’t affordable, what they really mean is, ‘housing isn’t affordable in the neighbourhood I want to live in. And the neighbourhood I want to live in has transit, a mix of uses, is close to work, etc.’ “. These ‘complete neighbourhoods’ within cities face high demand. People want to live and invest there, resulting in rising property values. An analysis recently undertaken by Real Capital Analytics Inc., discovered that commercial property values were increasing fastest in walkable districts, which demonstrates the growing propensity toward compact and urban areas. 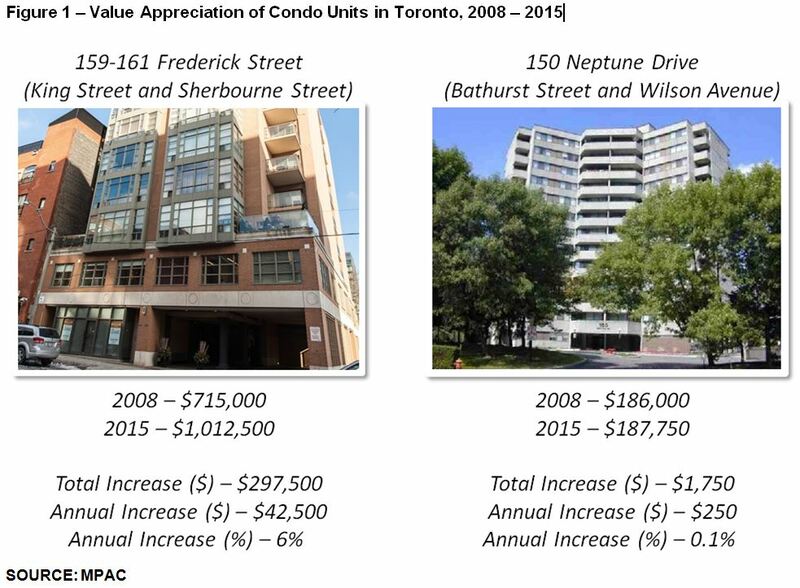 Figure 1 shows an interesting example of value appreciation of two different condominium units in Toronto since 2008. Not all areas witness an equal level of value appreciation. Although homes in general have become very expensive, there are pockets of affordability in Toronto and the surrounding regions. Large, growing and attractive cities face very polarizing real estate. Richard Florida demonstrated in his book, “Who’s Your City?” that wealth inequality is widest in cities like New York, San Francisco and Chicago. Although these cities attract people with varying incomes and skillsets, they are especially appealing to the most talented. And these talented individuals often hold very high paying jobs and settle in some of the most sought after neighbourhoods within cities, driving up speculation on housing prices. This creates a very disparate environment and makes it increasingly difficult for people with moderate or lower incomes to settle in a city and neighbourhood they want. Europeans for example demonstrate a much greater inclination toward renting, compared to North Americans. Some cities in Germany and the Netherlands have a higher percentage of renters than owners. These cultural factors are starting to spread to North America, as renting is becoming an accepted norm. A combination of factors have spurred the interest in rentals –low and declining interest rates, home ownership becoming too expensive, broader demographic trends (e.g., likelihood to marry and have children later; and growing one-person households), and migration to urban areas. Although these broader factors are creating a fairly viable environment for rentals, the success of particular rental buildings will come down largely to their location. Rentals will not work everywhere as the rents charged have to recoup the cost of land, construction, permits, maintenance and taxes. Inclusionary zoning is a popular method of accommodating affordable housing units in good locations. This method allows a real estate developer to build more than is permitted on a piece of land (based on zoning and designations) in exchange for the provision of affordable housing units. A similar concept of inclusionary zoning is evident in Toronto’s Regent Park, Alexandra Park and Lawrence Heights Communities. In New York City for example, Mayor Bill De Blasio is pushing for policies to enforce real estate developers to include affordable housing units as part of their projects. Inclusionary zoning has also been criticized in some aspects. Developers can choose to invest elsewhere if the conditions imposed by cities are too harsh. Furthermore, some have argued that not enough or not the right type of affordable housing gets built. 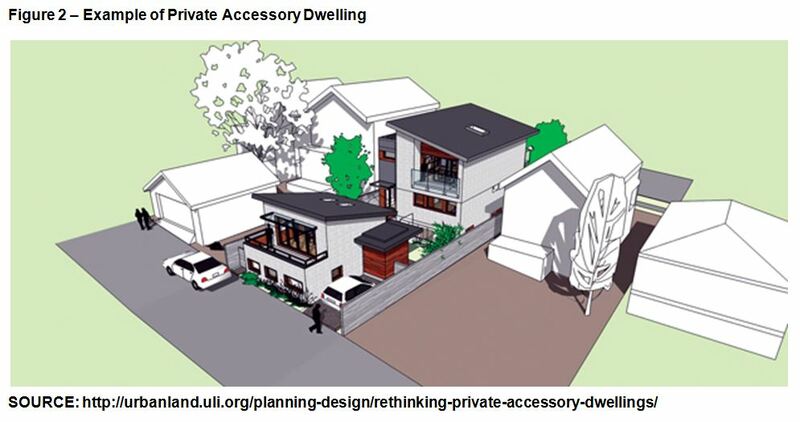 A Private Accessory Dwelling (PADs) is an additional housing unit on a lot with an existing single detached home. This is considered as a gentle type of intensification and can increase the supply of homes, helping to reduce house prices. Vancouver for example is one of the most progressive cities promoting and supporting private accessory dwellings. More than half of single detached homes built in Vancouver between 2000 and 2010 were PADs. However, PADs can be quite costly, lengthy and complicated to develop, as they would often require new water and utility connections, addresses, permits and separate entrances. Regardless, PADs are quickly becoming a popular housing concept and especially in a region like Toronto which is largely made up of single detached homes, the opportunities are immense. Some believe that foreign buyers are driving up housing prices and real estate speculation in cities like Toronto and Vancouver, which is in turn exacerbating housing affordability for locals. Vancouver Mayor Gregor Robertson has recently explored the notion of instituting a speculative tax on people who flip homes and on luxury properties, in attempt to curtail demand for housing in Vancouver from foreigners. However, BC premier Christy Clark has rejected the request, stating foreign buyers constitute a very small percentage of total home buyers and the new law could in fact discourage investment in the region. This is something that could be explored further, but must be done with caution and a reliable data set, as little information exists on what constitutes as a foreign buyer and how many of them buy property in Canada. Benjamin Tal, deputy chief economist at CIBC commented that although many buyers may be based overseas, they or their family often have strong ties to Canada. Mid-rise (5 to 11 story) buildings are considered as a great way of creating more family-directed housing units in transit-oriented and walkable neighbourhoods. The mid-rise form recently received a boost as Ontario’s building code was amended to permit the development of wood frame buildings up to 6 stories. Similar building code changes in BC in 2009 were instrumental in the development of more than 250 new mid-rise projects. These recent amendments to Ontario’s building code have the potential of creating many reasonably priced homes, as construction costs of using wood as opposed to steel or concrete would be much lower. Despite the growing popularity of mid-rises, units can still be somewhat costly. In Waterloo for instance, mid-rise units can cost as much as single-detached homes. Furthermore, some in the development industry have indicated that the cost savings in wood-frame construction could be negligible for developers due to comprehensive and restrictive building codes. As property values continue to increase, cities will need to think about how to accommodate a mix of people, incomes and demographics. The livelihood of cities and the economy are dependent on the synergistic relationships created in these mixed environments. The cities that can be more accommodating will be the champions of the future. Where are the quality jobs in Toronto?